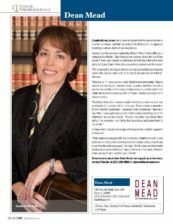 Claudia Haines Jones is the managing shareholder of Dean Mead’s Brevard County office. 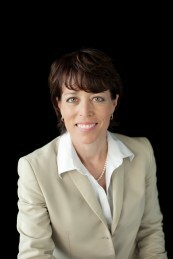 Ms. Jones focuses her legal practice on services related to healthcare, corporate and business law and legal issues unique to post-secondary educational institutions. Her clients include physician practices, hospital medical staffs, individual physicians, and business enterprises. Ms. Jones has also served as outside general counsel to a private Florida-based university. Advised on peer review investigations and participated in due process hearings conducted by medical staffs concerning quality of patient care and patient safety issues. Advised physician leadership on significant hospital policy issues that impact on concerning enforcement of medical staff bylaws. Advised independent medical staffs and credentials committees on compliance with the Patient Safety and Quality Improvement Act of 2005 and the Patient Safety Rule, including re-write of credentialing policies and procedures. Prepared and advised on medical staff bylaw amendments to address Patient Safety Rule. Advised physicians in opposition to proposed amendment to medical staff bylaws designed to facilitate exclusive contracting by hospital of service lines by permitting the early termination and non-renewal of clinical privileges granted to independent physicians. Advised on application of disruptive physician policies and implications for due process procedures. Revised medical staff leadership election procedures. Represented county’s largest medical and radiation oncology practice in sale of assets to hospital entity, including sale of three medical office buildings and transfer of licenses. Prepared request and obtained private letter ruling from IRS for tax-free spin-out from NYSE-listed company to its shareholders. Simultaneously prepared and obtained listing on New York Stock Exchange of spun-out company. $50,000,000 sale of stock by stockholder-inventors of patented construction product to Dorbyl Limited, a publicly-traded South African conglomerate. $5,000,000 sale of assets by private company to publicly-traded Waste Management, Inc. (NSEY: WMI). $4,700,000 sale of stock in investment adviser. $2,000,000 sale of assets by private insurance company to publicly-traded Brown & Brown (NYSE: BRO). $21,500,000 sale of Falcon jet to U.K. entity. Negotiated aircraft purchase agreement, assignment of warranties, flight personnel services agreement, flight management agreement, and pilot employment agreement. $40,000,000 purchase of prototype jet from Bombardier, Inc. Negotiated agreements with BMW/Rolls Royce Aero Engines on aircraft engine warranty. Co-ordinated representation with overseas counsel on aircraft registration and regulatory matters. $20,000,000 purchase from Dassault Aviation, S.A.
$27,000,000 lease of aircraft from Dassault Aviation, S.A. Established leasing entity under Bermuda law. Negotiated jet operation management and maintenance agreement. Coordinated with overseas counsel on aircraft registration, insurance and regulatory matters. Represented borrower in $20,000,000 aircraft finance transaction with General Electric Credit Corporation. Negotiated aircraft security agreement, cross-collateralized guarantees and pledge of shares in purchaser’s foreign affiliates. As associate general counsel of a private real estate development company, managed more than 40 real estate acquisitions in East Texas and Louisiana during a one-year period, including land acquisitions and negotiation of triple-net leases with publicly-traded drugstore chain. Managed environmental remediation projects. Ms. Jones was the chief corporate foreign currency trader at Wall Street investment banks prior to earning her law degree. In those positions she advised Fortune 100 companies on foreign currency risk management, hedging and execution timing of market transactions. In more than a decade of institutional sales and trading, she developed an expertise in foreign currency derivatives and other complex financial instruments. Workshop for new business owners: Prepared program materials for aerospace workers transitioning from Cape Canaveral following the termination of NASA’s Space Shuttle program. Led workshops on the legal issues facing new businesses and their owners. The workshop was part of the Entrepreneurial Training Services program jointly sponsored by Florida Institute of Technology’s Nathan M. Bisk College of Business and Brevard Workforce. Dean Mead’s Viera Office Commemorates Silver Anniversary with Gift to Florida Tech.